Want to kayak and not sure where to start? The Introduction to Kayaking class is designed for beginning paddlers who would like to learn the fundamental techniques of kayaking. This fun and informative class can be taken either in a sit-on-top or sit-inside kayak. In this 2½- to 3-hour class you will learn the proper way to get in and out of a kayak. You will learn deep-water entries and exits, and also the techniques for an assisted rescue in our indoor heated pool. On the lake behind the store, you will learn proper paddling technique and basic paddle strokes. Bring a bathing suit, towel, clothes and shoes that can get wet. 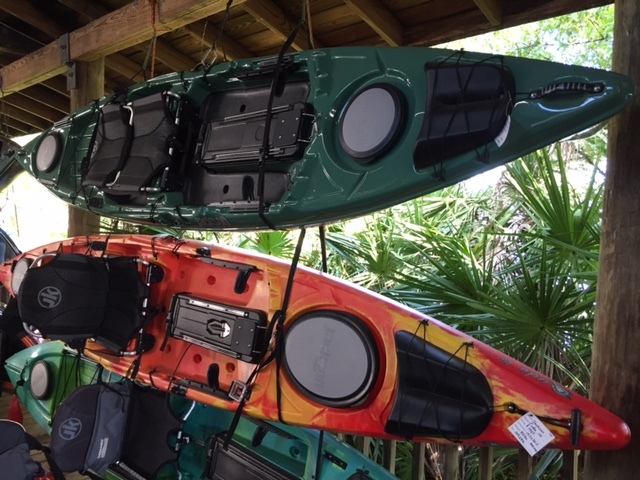 Cost: $78 per person or free with the purchase of a new kayak from us. There is a minimum age of 10 years old and the child must be accompanied by a parent or legal guardian. We offer advanced private instruction upon request; $78 an hour for one person and $35 for any additional students.